We, at The Urban List, like to fly by the seat of our pants and ain’t no one going to tell us what to do or where to be (well not really, but we’d like to think so). If we want to eat ice cream before lunch, we’re gonna do it. If an afternoon breakfast is what we want, it’s happening. If we feel like spending the night at a hotel, you guessed it, we’re there. From some of Australia’s best restaurants and bars that don’t require a reservation, to booking a hotel on a whim (we love Booking.com’s new Booking Now app for this! ), The Urban List editors in Sydney, Brisbane, and Melbourne have put together the ultimate itineraries in and around our fair cities to help you be spontaneous wherever you go. So what are you waiting for? Get out there and live! For those that want to make the most of their weekend, without leaving Sydney. Work is done for the week! Start the weekend right with a cheeky Friday night drink at Mille Vini. While you’re enjoying your vino, jump onto Booking Now and reserve a spontaneous night at awesome boutique hotel QT Sydney because why not? This nifty app allows you to enter your accommodation must-haves (WiFi, breakfast, parking, budget etc.) and finds you somewhere to stay based on your exact location. Head over to QT Sydney, drop off your bags and raid the mini bar! Dinner time! Head to the new Lotus in The Galeries for a dumpling and cocktail fest. Enjoy a post dinner tipple at Gowings Bar & Grill. A barrel-aged house old fashioned, perhaps? Roll upstairs to your comfy bed at QT Sydney and sleep off the day. Good morning! Treat yo’self to a morning spa treatment at SpaQ before heading out into the world. By now you’ll be pretty hungry. Placate that rumbling belly with The Merchant from Three Williams. It’s an egg and bacon roll that’ll cure what ails you. Walk it off around the streets of Surry Hills before giving your card a bit of a work out at Somedays. It gets a bad rap, but the nation’s capital is on the up and up when it comes to good food, drink and stays. Hit the road, Sydneysiders! Canberra is just a three hour drive from your doorstep. Easy! Get in on some pre-dinner wine and cheese action at Benchmark Wine Bar. Feast on all the Italian deliciousness at Canberra’s newest restaurant, Joe’s Bar before enjoying a post-dinner cocktail at Canberra’s own speakeasy bar, Molly. Check out the city’s newest (and coolest) establishment, Hotel Hotel, and book one of their Cosy, Original, Creative or Meandering rooms through the Booking Now app in just a few taps. Pop by the library room for a night cap before you rest your weary head. After a spot of free yoga at Hotel Hotel, get your coffee fix at The Cupping Room. Oh, and order the ricotta hotcakes too! Pick up some handmade, organic chocolate from Little Monster Chocolate for the drive home. Feel like heading to the Blue Mountains for a bit of R and R? This one’s for you. Give yourself an early mark and head west to the Blue Mountains. Go on, you deserve it! On the way, use Booking Now to book yourself in to Emirates One & Only Wolgan Valley Resort and Spa. Check into the hotel and take a moment to explore the grounds—they’re breathtaking! Jump on a mountain bike or into the private pool to really take advantage of your surrounds. No need to leave the hotel! All rates include breakfast, lunch and dinner so you can focus on completely unwinding. Roll back into your hotel room and relax by the fireplace… Bonus points for any red wine consumed. Wake up nice and early (after your very comfortable sleep) and go on the Leura Cascades walk. Bring your camera, it’s gorgeous! There’s nothing like a weekend jaunt down the coast to wash away the working week. Just over an hour from Sydney, this beachside suburb is full of the good stuff. Jump in the car or even on the train, swipe through the recommended-especially-for-you options on Booking Now and book yourself a last-minute room at the Adina Apartment Hotel Wollongong last-minute (it’s close to all the action). Feeling like one of the best burgers in town? Head to His Boy Elroy for a soul satisfying cheeseburger. Wash it down with a Gorgeous George cocktail, you beautiful thing you. More cocktails? You betcha! Head to the newly opened Hungry Wolf for some killer cocktails or whiskey (they have over 100), if that’s your thing. Those cocktails will get you! Sleep it off in your comfy bed. Up and at em! Head down to Lee & Me for a breakfast of champions. The 63 degree egg with avocado is always a winner. Find your inner zen with a visit to Nan Tien Temple. Take your time and head back to Sydney via Grand Pacific Drive for some of the most epic scenery. Get your wine and dine on in Orange. Start the weekend right with a visit to Philip Shaw’s cellar door. It’s open until 5pm, so try to get in before they close! When dinner calls, make your way to Union Bank for food, wines and good times. Pro-tip: nab a seat in the courtyard if you can. By now you may be a few drinks in, get your beauty sleep at the nearby (and super unique) Black Sheep Inn. It’s both modern and rustic at the same time—you won’t want to leave! Before leaving Orange, visit Jumbled for some of the cutest and coolest homewares around. Prepare your credit card as you probably won’t leave without buying something. On your way back to Sydney, pick up some famed Trunkey Bacon for some delicious cooking when you get home. Explore what Australia’s third largest city has to offer. Spoiler alert: it’s a lot. Touchdown in Brisbane (if you aren’t already there) and stroll into Coppa Spuntino for a relaxed Italian meal (gotta order the walnut and truffle gnocchi) and bulk prosecco. If it's Friday night, you've got no excuse not to kick on for margaritas, pretzels, and live tunes at Brooklyn Standard. Rest your weary head at the lush Capri by Fraser Brisbane (you can book this up to 48 hours in advance on the Booking Now app). 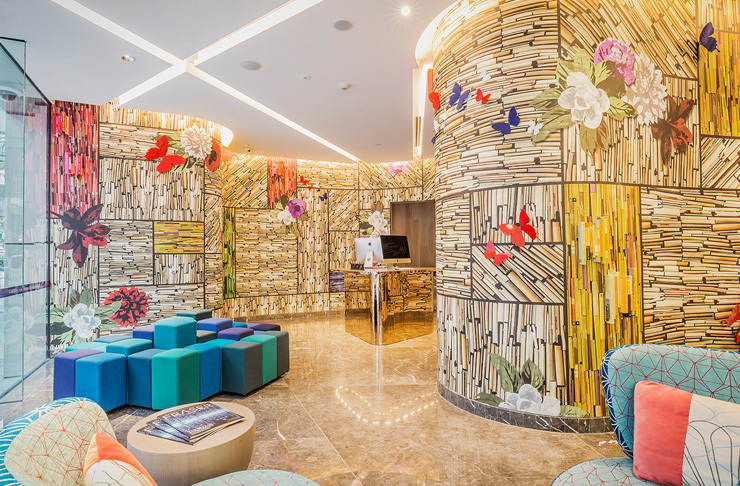 The vertical gardens and art installations are totally ‘grammable. Rise and shine! Breakfast has got to be adorable Brisbane cafe, King Arthur. The house-made crumpets and rhubarb are perfection, and coffee's going to help that headache. Jump across the river and head to South Bank for a long lunch at Julius Pizzeria, catch a show at QPAC, and finish the night with cocktails at Maker. After a rejuvenating rest, squeeze in a very late, very large brekkie. The Chow Down at Au Cirque is a Brisbane breakfast institution and has cured many hangovers. Explore Bakery Lane, load up on I Heart Brownies ridic gooey goodies, and rehydrate with a fresh coconut juice at Kiosk. Stroll around IMA soaking up some culture, and finish up with a final glass of wine at Bar Alto (hey, day drinking is allowed on mini breaks). Only 1.5 hours from Brisbane, Burleigh Heads feels a 1,000 miles from the big smoke. Rise with the sun and head south to catch some morning rays on Burleigh Beach. Stop in to Salts Meats Cheese food emporium on the way for a quick coffee and to stock up on beach-worthy snacks. If all that fresh salty air has taken it out of you, spend an afternoon in the luxurious surrounds of Spa Q. Enjoy dinner with a killer view at Burleigh’s freshest seafood joint, The Fish House. Grab your phone and let Booking Now find you the closest hotel, which you can book in a couple of taps. Polish off a couple of post-dinner drinks at boutique cocktail joint Finders Keepers Bar. It’s been a big day! Catch up on some zzz’s at the Bujerum Apartments on Burleigh. With panoramic beach views you’ll struggle to leave your balcony! After a well-earned lie-in, make your way to Borough for an indulgent breakfast. Time for some shopping! Head to James Street for cute-as-a-button cafes and quirky fashion boutiques. Check out One Hundred Words for gorgeous hand-picked pieces. Kick back with a couple of cold brews at the Burleigh Brewing Co, or, if you’re really into your craft beers, a brewery tour is a must. Find your perfect last-minute accommodation choice on Booking Now. If you prefer a spot of luxury, tap on Peppers Noosa Resort and Villas. Nestled right next to Noosa National Park, you’ll be walking distance to all that Noosa has to offer. We like! Tie on your best walking shoes and take a walk around Noosa National Park headland. With breathtaking views of Noosa Beach and pristine walkways, you’ll hardly feel as though you’re exercising at all! Drop in to the Noosa Farmers Markets to pick up the freshest local produce from the surrounding Hinterland. Tuck in to a late lunch at Bistro C. With uninterrupted views of Laguna Bay, this is the perfect way to unwind after a busy morning bush walking! Time for a drink? Throw on your glad rags and grab pre-dinner cocktails and nibbles at Italian favourite Locale. Make reservations at Ricky’s for dinner. With a beautifully modern menu of Mediterranean and modern Australian, plus gorgeous views of the Noosa River, going back to the real world will be rough. Right, time for a nightcap. Grab a seat on the luxurious front deck at Miss Moneypenny’s, grab a cocktail and watch the world go by before retiring back to Peppers. After a solid sleep take a drive down the coast to Mooloolaba and pick up the best fish and chips from the Mooloolaba Fish Markets. For true foodies, this is the ultimate food and wine trail. Check-in to Spicers Clovelly Estate just outside Montville for the ultimate luxury countryside escape. Feeling hungry? The Long Apron restaurant, set in the grounds of Spicers Clovelly—and a huge hit with the locals—is a 2-hatted restaurant with buckets of character! The tasting menu is a must if you’re looking for a real taste of local Hinterland produce. Culture vultures should hop-foot it into the village of Montville, where you’ll find quirky architecture and quaint antique stores full of little gems. All that walking makes for thirsty work! Enjoy an early evening vino at Poets Café in the heart of Montville village, before a cosy dinner at the Montville Pub. Early birds catch the worm. Make tracks into Maleny for breakfast at Colin James Fine Foods. Make sure you save some room for a visit to Maleny Cheese. Specialising in locally made cheeses, this boutique cheese café sells all sorts of the smelly stuff. Wine with lunch sounds like a plan? Sample some fine grapes at Flame Hill Vineyard, and then stay for a light lunch. A visit to Mapleton Falls will blow the cobwebs away. With incredible walkways and views of the Hinterland, pack a picnic and make a day of it. Famous as a world heritage site, whale-watching and pristine beaches, there are worse places in life to hang up your holiday hat. Take a detour inland for a visit to the Big Pineapple! Make a reservation at the gorgeous The Bay Apartments with Booking Now. Only three minutes walk from Scarness Beach and a short boat trip over to Fraser Island, you’ll slip straight into coastal life! Walk down to Enzo’s On The Beach for breakfast on the water’s edge. It goes without saying that a trip over to Fraser Island is a given. Go to the Great Sandy National Park—a World Heritage site full of massive sand dunes and coastal rainforest. Like aquatic activities? The reefs surrounding Fraser Island are impeccable. Roy Rufus artificial reef is the largest in the southern hemisphere and full of natural wildlife. Back on the mainland, indulge in a lazy lunch in the beer garden at the historic Apollonian Hotel. Next stop Childers, for wine tasting at the Ohana Winery. Not only a working vineyard, but also an exotic fruit farm too. That’s your 5-a-day sorted! Huger strikes! Take a load off and head down to the Pavilion By The Pier for dinner by the sea. Not wanting to head too far? We hear you. There’s lots of fun to be had on your doorstep. Kick off a lazy late morning in Melbourne with a croissant and cup of Joe at South Melbourne institution, Chez Dré. Pick up some sweet treats at Chapel Street’s famous Burch & Purchese. Skip the Chapel Street crush and head to the villagey Greville Street—refuel with a latte from St Edmonds. Head to the CBD to catch the incredible David Bowie Is at ACMI. It is Melbourne after all, #culture. By now you’ll be hungry. Grab a glass of vino and work your way through the share plates at Cumulus Inc. The lamb is a must-order! Shop 'til you drop on Flinders Lane—don’t pass the iconic Christine for high-end accessories, and drop some dollies in Green with Envy, Incu, and Aesop. 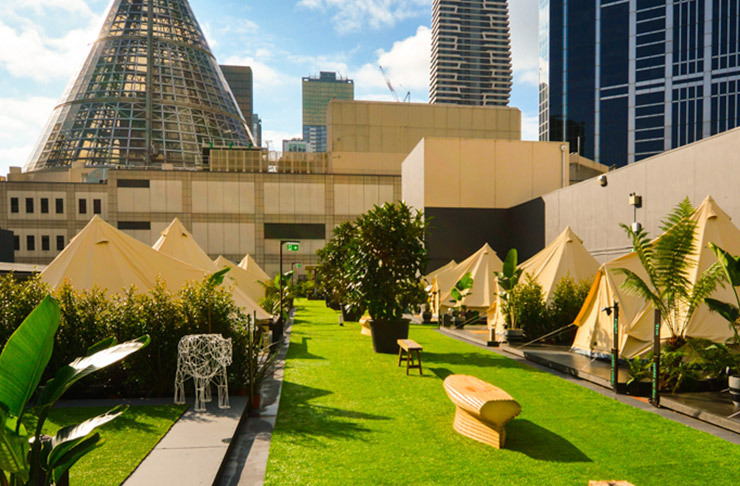 Make your way to the top of Melbourne Central and, wait for it, Melbourne’s only rooftop camping hotel! Glamp it up in style at St Jerome’s – The Hotel. Bonus… You can book this within 48 hours on Booking Now! Grab an Uber and prepare to eat all the steak fries and drink all the bubbles at Entrecôte in South Yarra. Rest your pretty head in your heated, luxury tent. Enjoy brekkie in one of Australia’s most beautiful (and delicious) cafes and roasters, Industry Beans in Fitzroy. The smashed avo is killer. Stroll along the gorgeous Gertrude Street for one last spin of the plastic. Hot picks: Mud Ceramics and Megan Park. A short drive from Melbourne, but feels a world away. Start the day with a breakfast feast at Café de Beaumarchais in Sassafras. If you’re hankering after a French fancy, pick up one of their delicious patisserie offerings. In need of something more filling? The breakfast baguette is a sure-fire winner. Step to it at the 1000 Steps at Dandenong Ranges Point… Beautiful surroundings and fresh air make this the perfect way to work up a sweat before midday. Take to the trees at Trees Adventure, Belgrave’s tree-top adventure park that lets you climb to the highest heights in the Dandenongs. Lunch HAS to be at Shannon Bennett’s Piggery Café—these guys take their ploughman’s platters seriously, folks! Drop into Healesville Glass-Blowing Studio to check out the area’s awesome creative scene. Pick up some homewares finds from Seven Pages, in Sassafras, where you’ll find incredible accessories, gifts, books and more. Looking for a luxurious dinner? You’d be mad to dine anywhere other than the Independent in Gembrook. Argentinian food, a stunning interior, and the best of local and world wines—delicious! Chill out in the hot tub before sinking into the comfiest bed in the mountains at Fernglen Forest Retreat. This lovely little seaside town is the perfect weekend getaway. After your two-hour road trip from Melbs, settle in for the evening at one of Lorne’s most charming accommodations, La Perouse Lorne. Kick the day off with a pre-breakfast dip in the ocean. It might be a bit fresh, but you’re surrounded by some of the most pristine water and Lorne’s main beach is right there waiting to leave you feeling invigorated. Treat yourself to breakfast at The Bottle of Milk. It’s a lively café in the centre of town and you’ll be hard-pressed to find a better breakfast burger anywhere. Take a leisurely stroll up to Teddy’s lookout. It sits above the town and offers the most spectacular view out over the coast. The walk is approximately 2.5 km from town, but the photo-op makes the hike worth the effort. Check out QDos Gallery. It’s the lifeblood of the Lorne arts community and includes a fine art gallery and sculpture park. Take a short trip to Erskine Falls. The waterfalls themselves are beautiful, but the walk to the falls is also enjoyable. The path is well appointed and it includes a number of lookouts along the way. Head to Endota Spa for some relaxing ‘me’ time. Endota offers a full range of spa treatments that’ll leave you feeling like you’ve truly had a holiday. Enjoy dinner at The Ovenhouse. It’s something of an institution in the area and the grilled ocean trout is to die for. Known for its abundance of natural mineral springs, Daylesford is the perfect relaxing getaway. Make like a local and stop for breakfast at Larder, which serves a mouth-watering morning menu from 8am daily. Quinoa potato cakes with ocean trout and poached eggs is our top tip. Love a rummage through some hidden treasures? Drop by The Mill Markets for antiques, vintage finds, books, homewares and more. Take a stroll through nature at Wombat Hill Botanical Gardens, where you’ll find stunning native plantlife as well as a beautiful vantage point over the Daylesford area. Get your daily does of culture over lunch at The Convent, a converted 19th century mansion that’s home to an art gallery, The Alter Bar and Bad Habits Cafe, who serve a delicious Mediterranean inspired menu. 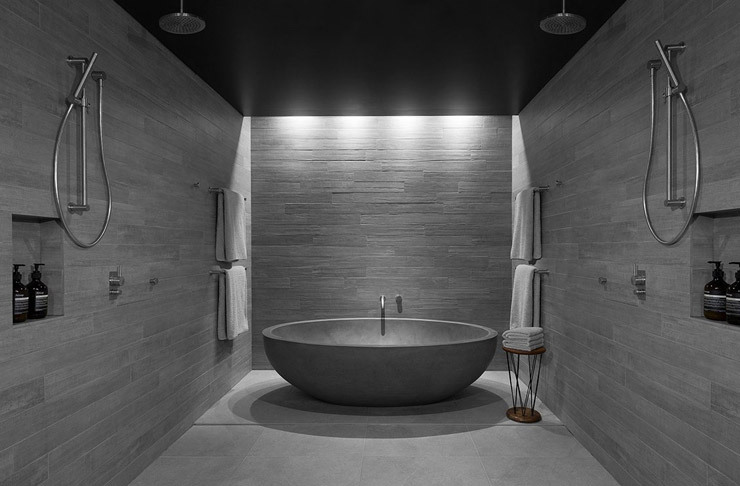 Chill out in luxury at Hepburn Bath House (once nominated for a ‘world’s best’ spa award), where you’ll find massages, mineral baths, facial treatments, scrubs, body wraps and heaps of amazing beauty therapies. Seriously, we’d live here if we could. Sip some of Victoria’s best wine at Passing Clouds Winery in Musk, where you can try tasters of their latest bottlings and pick up some to take home from their cellar door. Seasonal dining doesn’t come much better than at Sault! Enjoy a spectacular meal that includes dishes from the paddock, ocean and garden at one of the region’s top restaurants. Use Booking Now to book yourself into the luxurious Dudley Boutique Hotel, where you can relax with a nightcap in beautiful surroundings oh, and choose your own pillow from the pillow menu (amaze!). Trust us, you’ll feel like royalty. A food and wine escape? Count us in! Healesville Harvest café serves a tasty breakfast menu that makes for a tasty start to your out-of-town trip. Hit up Healesville Sanctuary for an up-close and personal meeting with Victoria’s incredible wildlife. A cuddle with a koala?! Yes please! Pick up lunch (and some amazing eat-at-home foodie finds) at Innocent Bystander, who keep freshly baked breads, local and imported cheeses, and the Yarra-made Causes & Cures vermouth. Time for an afternoon tipple? Get to Four Pillars Gin Distillery in South Warrandyte for some of the best boutique spirits in Australia. Shiraz cask-aged gin?! Heck yes! Satisfy your sweet tooth with a trip to at the Yarra Valley Chocolaterie & Ice Creamery. Check out some incredible artwork at TarraWarra Museum of Art, just outside of Healesville. The gallery itself is beautiful too—the ideal venue to watch the sun set over the Yarra Ranges. You won’t regret dinner at Hargreaves Hill Brewery in Yarra Glen, home of the best pork roast we’ve had all season. Just remember to leave room for the stout and chocolate pudding. Collapse into bed at Deville at Healesville. Score yourself a room with a spa bath with a view, get a relaxing massage or sun yourself on the sun deck. Pure Yarra Valley bliss. Make a reservation with Booking Now at Hotel Pension Grimus. The Grimus family have been operating at Mt Buller for several generations and are renowned for their warm hospitality and luxuriously appointed rooms. Bliss! Stop off for a coffee and bacon and egg roll at Cattleman’s Café in the heart of the Mt Buller Village for the perfect way to start your day. Sled dog tours! Australian Sled Dog Tours give you the chance to meet the adorable huskies and go for a whiz through the snow. Mush! Mush! See the alpine region in a truly unique and memorable way when you take a scenic chairlift. You don’t need to be a skier or boarder to explore the area and this way you’ll get a stunning bird’s-eye-view. Enjoy lunch at Tirol Café. It’s located above some of the ski runs and you can access it on foot, by ski or chairlift. Stepping inside is like being whisked away to a little slice of Europe. Check out the pizza menu and brave the cold with an outside table for lunch with a view. Just a beginner? Book yourself a ski lesson. You’ll feel safer on the snow and will enjoy the whole experience more. There are group and private lessons available. Enjoy some family fun and grab a few toboggans. Mt Buller has two designated toboggan areas, so you’ll be safe out of the way from skiers. It’s a good laugh. Unwind with an Alpine Spa. If you’re feeling a bit stiff and sore after a day at the snow, Breathtaker Alpine Spa will sort you out and have you fully relaxed in a jiffy. Hungry? Head to Buller’s coolest dining venue, Snow Pony. Serving Thai inspired dishes, it’s the perfect place to refuel. The cocktail list is impressive too! Feeling inspired and a little bit spontaneous? Get the Booking Now app on your phone, tablet and Apple Watch! Head here to download the app for free. Editor's Note: This article is proudly sponsored by Booking.com and endorsed by The Urban List. Thank you for supporting the sponsors who make The Urban List possible. Click here for more information on our editorial policy.